I have not done much of a house tour yet as it has only just started to come together. Adam and I moved in, in October and with Christmas just round the corner nothing got done except for painting the lounge, even our sofa didn't arrive until just before Christmas Day. Any way I thought now was the time I could start sharing my what I have done with the place and what I still have planned for my lounge. So the colour of the walls was an off green, not a cute pale green an odd green so I used Farrow & Ball in Slipper Satin and just a lick of paint transformed the room. 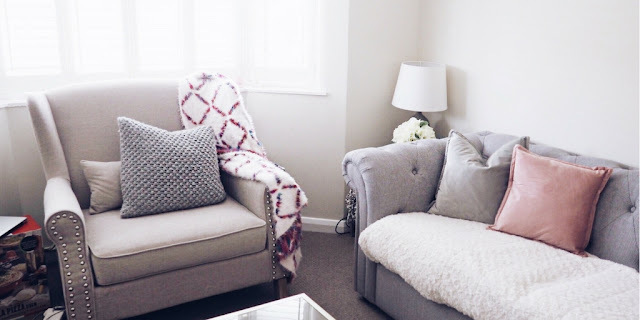 For the ceiling I used Farrow & Ball again in All White, keeping your calling a lighter colour will make the room feel bigger and I always like callings to be a pure white, not sure why but just looks better. I decorated my last lounge was quite farmhouse esq and I still wanted to keep that style but with a modern twist. 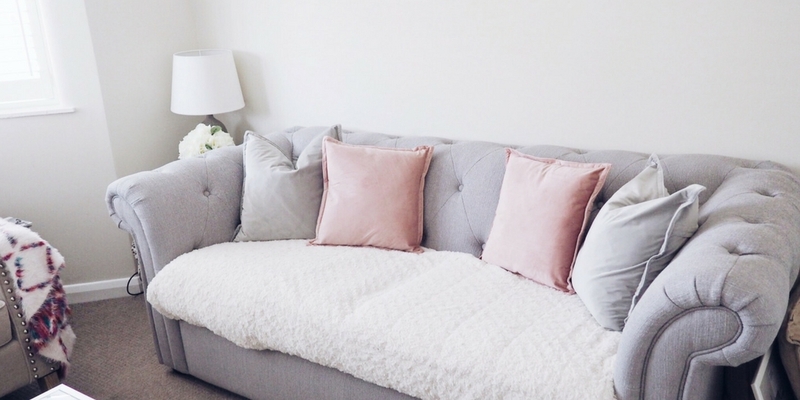 I started with getting a sofa sorted and I always wanted a fabric, chesterfield style sofa but they were just so expensive and I knew I wanted GREY that was essential and managed to get a pretty good lookalike: Chester from DFS. My other chair took me months to decide on as I wanted something big enough to cuddle up on but not something too crazy. I actually really wanted this velvet pink armchair from Anthropolgie but it cost £££ and they only sold it in america so I ended up finding the Houseology Collection Studded Easy Chair, its big, neautral and looks great with my Anthropologie throw, (they don't sell it anymore but their throws are all so beautiful). 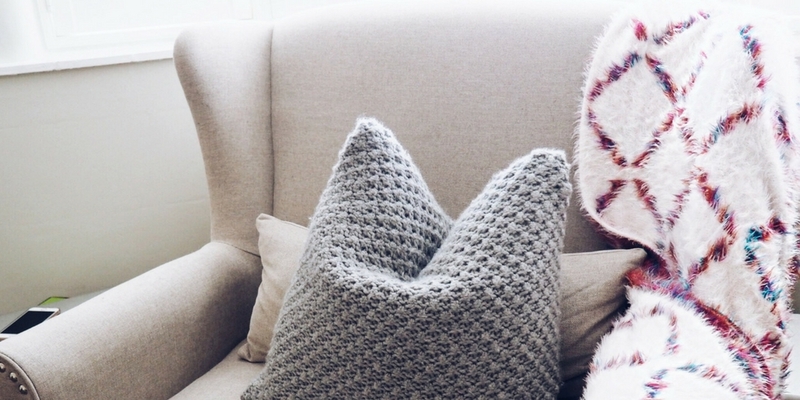 I have also added a White Company cushion using 'the chop' method to showcase it. On the 'Chester' (as I like to call it) there is some velvety look cushions in pink and grey from Primark and a fluffy white throw that I got as a gift as Christmas from Robbie Kay for Christmas. 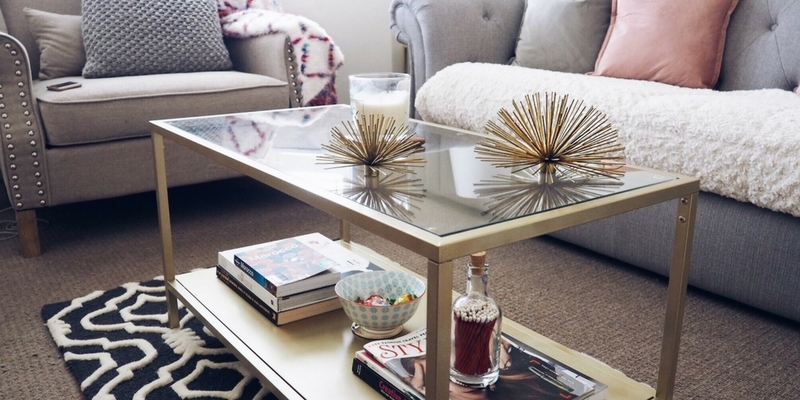 The coffee and side table is an Ikea hack using Vittsjo nest of tables and some gold spray paint, they look so much better don't you think? I have decorated the side table with a lamp from Cox and Cox and a faux floral arrangement from Wayfair, sitting under is a bunch of blankets for when it gets cold in a Zara basket. 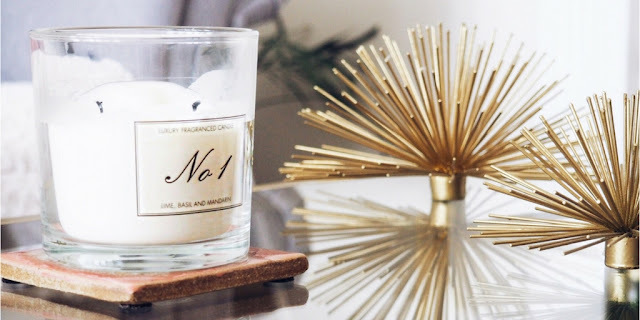 On the coffee table I have my Jo Malone candle dupe from Aldi in No. 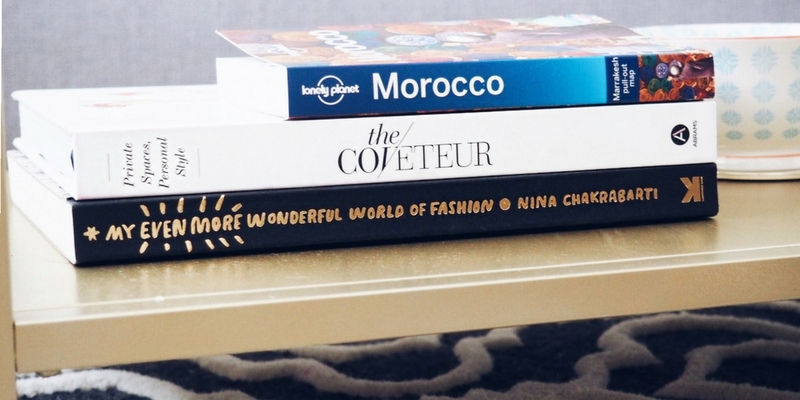 1 and some coffee table books: The Coveteur, Visit Morocco and a colouring book.